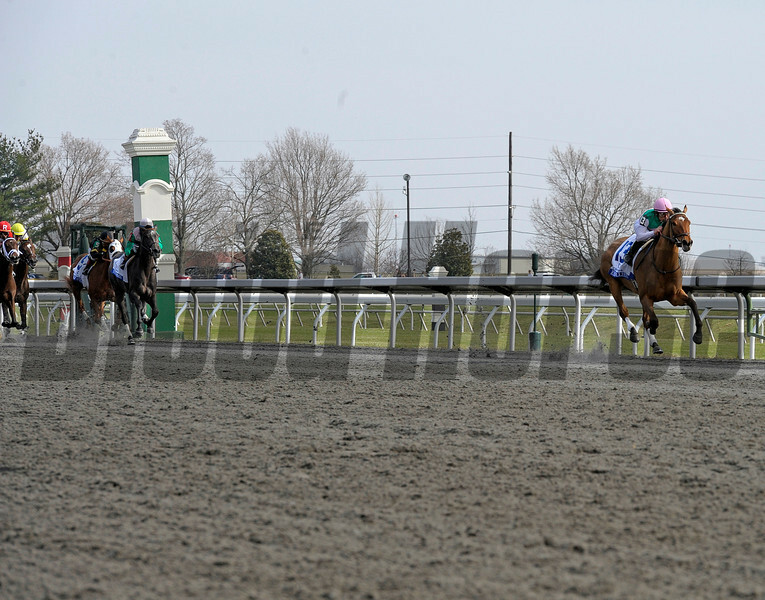 Caption: Emollient with Mike Smith wins the Ashland Stakes (gr. I) by 9 lengths. Keeneland racing scenes during April 2013, at Keeneland in Lexington, Ky.